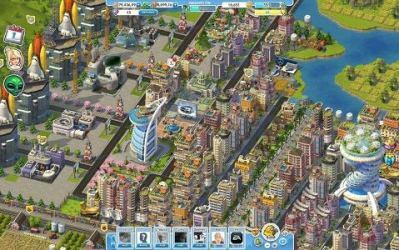 SimCity Social Reaches On Facebook: Electronic Arts has confirmed that Social SimCity is now available on Facebook. The title is the result of collaboration between Maxis and Playfish studies that have attempted to bring together the best social games with depth and creativity SimCity. Users will become mayors of their city and have to deal with their development. SimCity is a very popular franchise in the PC world. This is a strategy title in which users have to manage their resources to thrive. SimCity has won the recognition of thousands of users and now wants to conquer the millions of people using Facebook. In SimCity Social users will have to take on the role of a mayor to create their own city. In the role of mayor, the game will present all kinds of challenges and unexpected situations such as fires, crime and pollution, which hamper the construction of the desired city. For the first time in franchise history, every decision has consequences which affect both the future of the city of the user and the cities of his friends. Facebook Social SimCity allows for friendship or creates intense rivalries with neighboring cities. The title combines elements of fun and addictive game, which promise to create a new era in city management simulation. This is a very promising title. According to vice president of global studies of Playfish, Jami Laes: “the game will attract a new generation players, thanks to easy to use tools that allow anyone to grow your city and see how it evolves in a fun and unexpected” . As a special aspect, SimCity Social content has Mercedes-Benz and Dunkin Donuts. Electronic Arts and Mercedes-Benz has launched a deal to include and offer unique items in the game. For its part, Dunkin ‘Donuts will also be present in Social SimCity. Users can give Boosts Coffee and Donut Boosts to improve the gaming experience of their friends. The well-known food brand campaigns carried out gifts of items in the game throughout the year.